Marson® Rivet Nuts can be used in a wide range of applications and are designed to provide a very efficient and cost-effective method of placing permanent threads in thin materials. Installed from one side, Marson® Rivet Nuts are perfect for use in metal, fiberglass and rigid plastic previously too thin for tapped threads. They provide a neat appearance and once in place, the internal threads are ready for a screw or bolt. Lightweight tooling assures easy installation by the operator and reduces costs when compared with other methods. After installation, Marson® Rivet Nuts provide permanent, captive threads that do not allow loosening under vibration and will not rotate when attached to the mating material. Rivet-Nuts with large diameter heads can be used in soft materials which inherently offer little, if any, thread strength. The flathead design provides the most bearing surface for higher torque applications. 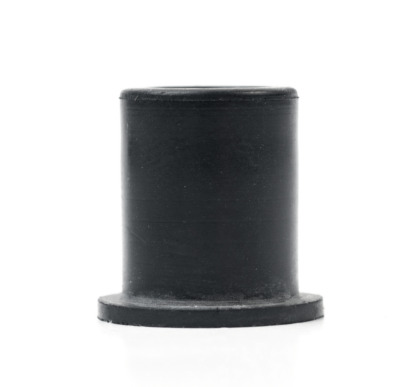 The larger flange extends above the material in which it is installed and provides a built-in spacer.